If you like hooking into big, hard fighting fish, you won’t be able to resist the fly fishing British Columbia has in store. Casting flies in these waters could bring you five different species of Salmon, Steelhead, a variety of Trout, and much more. With countless coastal streams, freshwater rivers, and lakes throughout the province, you’ll be hard-pressed to decide where you would rather go next! There’s no better way to discover the fly fishing BC is famous for than by wetting a few lines in a local river. You will find easily accessible streams and rivers everywhere, from the north coast and Vancouver Island to the mainland just a few hours south of Vancouver. These running waters host Salmon, Steelhead, and a variety of Trout throughout the seasons, which makes river fishing in BC a year-round opportunity for the avid fly fisherman. Fraser River, located to the west of Vancouver and directly south, is one of the most productive fisheries in British Columbia. All five species of Salmon make their way through these waters, and Chinook is the first to arrive in May. 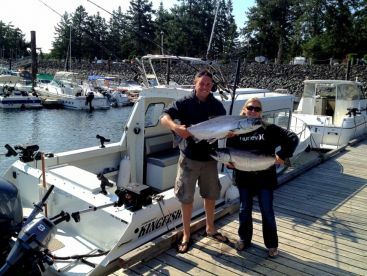 Fishing really picks up in June and July, as other species like Sockeye and Pink Salmon make their entrance. Sockeye is the most numerous Salmon species in the region, swarming the Fraser by the millions. The Pitt River just west of Vancouver receives all of BC’s Salmon species at roughly the same times as the Fraser. Starting in May, you will also find Columbia Bulltrout and Dolly Varden here, the largest wild run of these species in southwest BC. 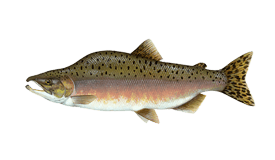 Cutthroat Trout (second only to Steelhead in a beauty contest) appear from April to May and again from August to September. If you’re fishing in summer, be sure to get in on the Steelhead run from June through October. You haven’t fully experienced the fly fishing BC is known for until you hook into this elusive and spectacular fish. 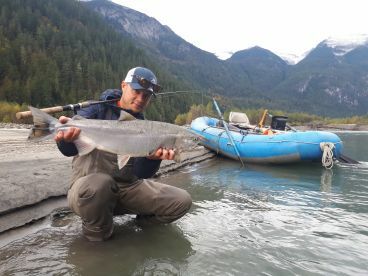 You will find most large Steelhead in big rivers like the Fraser, Nass, and Skeena, but smaller rivers throughout the province also host consistent runs each year. The most anticipated fishing season in southwest BC is the Pitt River Coho run—the largest wild Salmon run in the region. 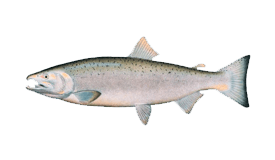 Coho arrive in late September and peak from October to November. 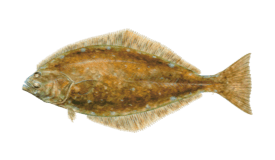 These fish range from 4-10 lbs in size. 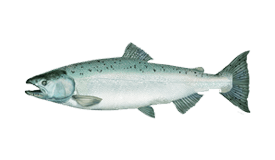 Coho are joined by Chum Salmon, an aggressive feeder ranging from 10-15 lbs. Winter Steelhead enter the Pitt River in January, some of them reaching up to 25 lbs in size. While fishing in other parts of the province, you can take winter Steelhead from November to March. The greatest runs, size, and diversity are found up north along the Bulkley, Kispiox, Morice, Kitimat, and Skeena Rivers. The Dean River and Bella Coola in the Cariboo Coast region are also known for exceptional Steelhead runs. Or you can fish for winter Steelhead and Coho in the Vedder and Capilano Rivers, just two hours from Vancouver. When the winter ice begins to thaw (known as the “ice-off”) various lakes throughout the province re-open to fishing just in time for a spectacular season. When it comes to the BC lakes, fly fishing is all about landing a Rainbow Trout. By far the most common lake fish here, this species reaches trophy sizes between April and October. Local anglers recommend fishing in spring and early summer for the best results. Kamloops Trout is almost just as prevalent, followed by the occasional Lake Trout and Brown Trout (depending on where you fish). Many Trout in local lakes can reach up to 10 lbs in size. Fly fishermen will be glad to know that Trout fishing in BC works especially well on fly. With over 20,000 lakes to fish in British Columbia, you’ll have no shortage of options. Some notable names include Williston, Quesnel, Okanagan, Hall Lake, and the lakes around Kamloops. Waters in the north of the province host Whitefish and Charr, while you can find Bass in the southeast. Some lakes are also home to Kokanee Salmon (landlocked Sockeye). You can target Salmon in the BC rivers by fly fishing below the areas where they spawn. Try using a 4-weight fly rod, a floating line, and strike indicators. Locals recommend egg or minnow patterns. Pink Salmon will take almost anything tossed their way, making this species a great introduction to BC fly fishing for young anglers and beginners. There are many methods to catching Steelhead Trout, but one that you may see local fly fishermen using involves swinging large flies on a double handed fly rod. Steelhead are aggressive eaters and are likely to bite whatever lands in front of them. The best tactic is to change locations frequently, as this fish is few and far between. Fly fishermen love to target Bulltrout and Dolly Varden on 7-8 weight rods, because they will bend it to the max. Bulltrout are known to bite a skated dry fly, so some anglers like to keep a 5-6 weight dry fly rod on hand, as well. You can target Cutthroat Trout using minnow imitations on a dry line. When fishing the lakes, choice baits for Rainbow Trout include chironomids (the larval stage of a fly), leeches, scuds, and juvenile damsel flies. For the best success, fish a chironomid under a strike indicator in a shallow area. Floating lines and indicators are productive for midday hatches, but you may find full sink lines and sink tips (type 3 and 6) to be more effective at other times. A 9’ 5 or 6 weight rod should stand you in good stead.